Boots that look this good rarely feel this good, but this season our Willoughby waterproof boots are making it happen. Handpicked, expertly treated waterbuck leather is the star of your look; comfy footbeds promise a smooth all-day ride. Timber-Dry waterproof membrane is made with 50% PET (recycled plastic bottles). Classic nylon boot laces are re-engineered to stay tied. Goodyear welt construction for years of rugged wear. Breathable mesh linings and footbed covers are made entirely from recycled plastic bottles. OrthoLite® footbeds for all-day cushioning. Rubber heels and lug outsoles are made with 15% recycled rubber and built for traction. Air Raider Boot & Shoe Refresher. One or more major components contain 100% recycled polyethylene therephthalate (PET), the plastic used to make soda bottles. OrthoLite® comfort foam insoles provide moisture transport, antimicrobial function and long-term cushioning. T break down or lose cushioning over time, keeping your footwear comfortable and supportive. This product features our Timber-Dry waterproof membrane or linings to help keep feet dry, made with 50% PET (recycled plastic bottles). Our waterproof leather footwear uses waterproof impregnated properties that become part of the leather during the tanning process. 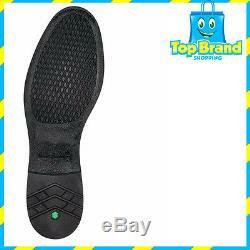 We also either seam-seal the footwear or use an internal waterproof and breathable membrane to help feet stay dry. One or more major components contain at least 50% recycled polyethylene therephthalate (PET), the plastic used to make soda bottles. The item "Timberland Men's Willoughby 6-Inch Waterproof Boots Black Limited edition rare" is in sale since Thursday, December 22, 2016. 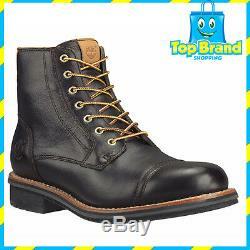 This item is in the category "Clothing, Shoes, Accessories\Men's Shoes\Boots". 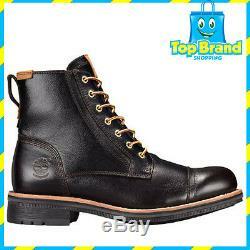 The seller is "top-brands-shopping" and is located in sydney New South Wales, AU. This item can be shipped worldwide.